Tonight’s moon ceremony is celebrating the new moon eclipse in Scorpio. 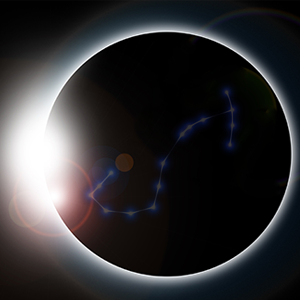 Usually eclipses are something heavy and dark, but because it is in this new moon cycle of Scorpio, it is all about re-aligning yourself in order to create what you want to manifest into your life. Imagine yourself shedding the old and re-creating new skin. Scorpio begins at the snake of healing and rises to the phoenix of creation, evolution and moving forward. Consider all the dreams that you would like to bring forward in this new moon. Go out of your comfort zone. This is an opportunity to reach out to things that call to you but you normally wouldn’t do because of fear. Step into those things now! Consider the positive attributes that others see in you but you do not see in yourself. Embrace those now! Allow those desires and traits to become a part of your manifestation. While this is a powerful time of manifestation for everyone (and everyone has Scorpio in their charts), it is an especially monumental time for Scorpio and Taurus signs for the fact that they are creating the next 20 years of their lives! I’d like to invite everyone to manifest their dreams, catch the butterfly as it’s flying and really transform yourself into your highest being and align yourself with Spirit as much as possible. Think big. Be big. And do not allow your fears to stop you from becoming who you truly are. Yay to the new moon in Scorpio!